1. Can I buy a house in China? It is not that every foreigner coming into China is entitled to buy a house in China. From July 1, 2006, only those who work or study in China for more than one (1) year, are allowed to purchase houses in China. Please note, here we are referring to buying residential property. Foreign individuals are forbidden to buy commercial properties under his or her own name, unless he or she incorporates a company in China to do that. However my recent experience has shown that local governments like Shanghai have not been very serious about implementing such restriction on foreigners purchasing local residential properties. For example, the key restrictive condition is that expats shall prove that they have been working or studying in Shanghai for more than a year. In strict sense, to prove the one year employment, foreigners shall submit not only employment contract but also work permit and residence permit, but local real estate transaction centre will only ask the buyers to submit an employment contract, an easily done job. 2. How many houses can I buy? Foreigners are not allowed to purchase as many properties as they wish. Though there are no detailed rules and standards for measuring how big a house a foreigner can buy, as a general principle, a foreign individual qualified to buy property shall only buy residential property for self-residing purpose according to his own need. It is interpreted by local governments as that a foreign individual can only buy one (1) house though in practice, it is still possible to buy two (2) houses in certain circumstances. Later on in 2010, China tightened the restriction on purchase of property by foreigners in China by providing clearly that a foreigner can only one residential property throughout whole China. In practice, for the reason that property ownership information in one city is not shared with other cities, it is in fact difficult for Chinese authorities to enforce this one-property rule. However, there are always rules to bypass these restrictions in practice and we are happy to share with you such tips. 3. Do I need to have a Chinese name? Yes. Foreigners buying property in China are required to have a Chinese name which will appear on your Real Estate Ownership Certificate together with your original name. However, when you manage to buy a second home in Shanghai, you may have a different Chinese name. Who cares about your Chinese name? 4. Do I have to execute documents and go through related procedures on my own? Alternatively, you can authorize an agent to do all such signing and runaround work on your behalf. In that case, to the extent that your property is located in Shanghai, you need to prepare a power of attorney for your agent, which shall be notarized at a notary institution in China. If you are not in China yet, your power of attorney shall be notarized first in your locality and then present the notarized POA to the Chinese embassy or consulate in your country for attestation. 5. Can I apply for mortgage loan when purchasing a house? And how much? Yes. Foreigners are eligible to take out loans in either foreign exchange currencies or in RMB (Chinese official currency). Given the expectation of RMB appreciation in the future, you may be more interested in take foreign exchange loans. You cannot pay all purchase price by virtue of bank loans. Banks in China are restricted to extend mortgage loan to the extent that the amount of the loan shall account for at most 80% of the total purchase price. In other words, you have to pay at least 20% of the total price out of your own pocket, the down payment as termed in practice. Further, if you buy a property of more than 90 square meters, your down payment shall account for at least 30% the percentage of the property price, which means your bank loan will account for only 70% thereof. However, rules in China often are bent to some extent, and for premium customers, banks are willing to extend bigger loan than regulated. You need to confirm with your bank whether there will be any cumbersome formalities and how long it takes to grant your loan. 6. Do I have to engage a real estate broker to help me? You don’t have to. But a real estate broker can facilitate your transaction in terms of locating appropriate target houses, coordination with seller, preparation of transaction documents and going through government filing procedures. In return, you need to pay about 1% of the transaction value to the broker as commission. Alternatively, you can also retain our service. 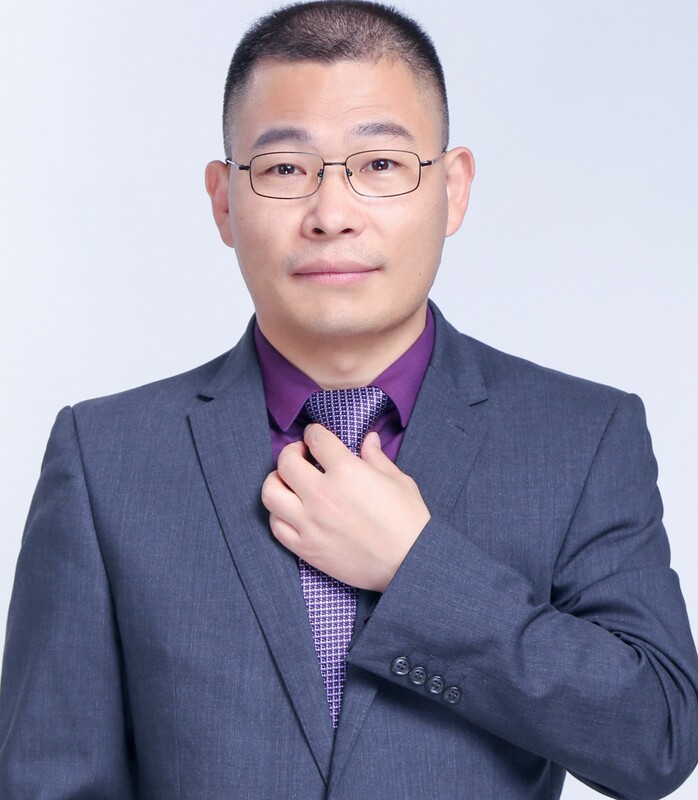 As real estate lawyer, we are allied with many real estate brokerage firms in different localities in Shanghai, which will be employed by us to help our clients in searching, and locating target properties. We can also help to arrange your financing and go through all formalities with government agencies and third-party service providers such as guarantee institutions. Meanwhile, except for that, we will safeguard your interest by taking care of legal issues involved in your transaction. At last, you will pay us only in the similar amount of the broker’s commission (1.0-1.5% of the transaction value) and don’t need to pay any cent to the broker any more. 7. What are the general procedures or steps for buying a property in Shanghai? (1) You get your real estate agent to find prospective properties for your inspection. (2) Upon finding your suitable target property, you will be required to sign an intermediary agreement with the agent in which your proposed terms and conditions for purchasing the target property will be recorded and which will be presented to the seller. At the same time you sign this preliminary agreement, you will also be required to pay a sum of earnest money to show your sincerity about the deal. This step often leads to dispute later when the deal falls through. Attention shall be paid thereto when legal document regarding this earnest money or deposit is signed. (3) If the seller agrees with your proposed terms and conditions, he will sign the agreement, and thereupon that agreement becomes binding upon you. Generally, in accordance with a usual clause, that earnest money will transform into a deposit. (4) Then in accordance with that preliminary agreement, you and the seller will be executing the official sale and purchase contract for the target property (“S&P Contract”). Thereupon, you may need to pay the down payment to the seller. In practice, property sale and purchase contract with a foreigner as one party, either seller or buyer, thereto shall be notarized with a notary public office. Otherwise, real estate authority won’t accept the deal. The notarization fee is often assumed by the foreign party or shared by the foreign parties. (5) In case that you need bank loan to financing your purchase, with your notarized S&P Contract, you will execute documents for obtaining your loans and go through other formalities therefor. (6) Upon bank’s approval of your loan application, you and the seller will go to the governmental real estate registration agency to effect title transfer and mortgage registration. (7) When the governmental registration agency approves the title transfer and issue the title certificate to you and the mortgage certificate to the bank, the bank will wire your loan (converted into RMB first) into the seller’s designated bank account. Thereupon, the deal is completed. These steps are not statutory requirement and are the relatively simple process of making a property deal. In the event that the seller still has mortgage loan over the property to be sold, the procedures will be more complex. Moreover, if you want to make sure of your money safety during the deal, there will be third-party money-supervising/escrow account mechanism involved, which will make the deal process more complicated. 8. What if I don’t have any RMB? Can I pay for the deal in foreign exchange in China? What I should I take heed to? To buy property in China, you have to use RMB for the settlement of your deal. You cannot pay foreign exchange to the seller even though the seller is a foreign party. Generally, you need to open a foreign exchange bank account with an eligible bank (those designated by the central bank to deal with foreign exchange businesses) and wire your foreign exchange from abroad into that account and then apply for conversion of the same into RMB which will be directly paid by your converting bank to the seller’s bank account. Bear in mind that as an individual, your annual foreign exchange conversion quota is USD 50,000 or the equivalent. If you don’t have sufficient RMB money for earnest money and/or down payment, you will have to take time to effect foreign exchange remittance and conversion, which may consume time. So make sure that in the relevant agreement and contract, you are afforded with sufficient time to do that so as to avoid breach of those legal documents. In practice, it is very often that buyers can pay a portion of property price to seller’s offshore account esp when the seller is also a foreigner. 9. What documents should I prepare when I effect foreign exchange conversion into RMB with my bank? (4) certification by governmental real estate department proving that the aforesaid sale or pre-sale contract has been filed with corresponding authorities. Such certification is available upon application to Shanghai real estate registration centre at the district level. (5) As an instrumentality for foreign exchange control, you must also obtain from the local office of SAFE (State Administration of Foreign Exchange) a paper bearing your deal information (equivalently, a government permit), without such a paper, banks will not concert your foreign exchange into RMB. 10. What if the seller still has mortgage loan denominated in foreign exchange (for instance, USD) over the target property? Can the seller pay off its mortgage loan with the buyer’s down payment? In such a case, the seller will have to discharge the existing loan and mortgage with his or her own money. Buyer’s down payment shall be converted into RMB before being remitted into seller’s bank account and under China’s current foreign exchange control systems, such RMB amount is not allowed to be used to purchase foreign exchange (in this case, USD) to pay off the seller’s existing mortgage loan. It shall be noted that parties to property deals often neglect such issue when concluding the sale and purchase contracts which adopt payment structure as outlined in the preceding paragraph. Such neglect will often give rise to deal failure and probably dispute between the parties. Just happened to read an interesting article titled “A Buying Guide to Shanghai Real Estate for foreigners” on a real estate website focusing Shanghai properties. Give it a read to know more. many thanks for this article. it helps me much on figuring property in shanghai. i have read many previous conversation, but i just want to make sure that my step is correct according shanghai property regulation. i’m going to marry a chinese girl. however, she has only temporary resident permit in shanghai. i mean she doesn’t have shanghai hukou. while i am a chinese born abroad, simply said as a foreigner. in this position, can i buy a property in shanghai using her name? or my name? which one is easier or better? i left my email. if it is possible, i prefer to call you and use your service to avoid any violation in shanghai. if she has not been working here for at least five years in the past, then she cannot buy. However, it is actually easier for you to buy properties in Shanghai in your name. Your article is very informative for potential foreign investors. My partner and I are thinking of setting up a Singapore or Hong Kong registered private investment company (PIC) and buy a few properties in Guangzhou area. It is our intention to preferably hold and managed these properties and rental income under the PIC. Can I check with you if these properties can be rented out in such a scenario under Chinese property law? Hi Jason Chian, sounding like i am calling myself, so long as you can buy the properties successfully, then you will have no problem of renting them out and receiving rentals. I would be very happy to help you on this endeavor. if i married with a Chinese person and buy a property on her name, is it ok.
that is ok so long as you don’t care about the property in the case of divorce. Better to buy the property after marriage whereby the property you buy for her will be deemed as co-owned by both. But again, she could sell the property without your knowledge if only her name is registered on the title deed. Thank you Mr.Jason, thank you. Thanks for your blog! My friend is married to a Chinese person, who lives permanently in Hong Kong. She has never notified the Chinese Government of the change in marital status and she received government housing and utilities. My friend is worried she will file for alimony. There is no 401, stocks, houses, etc. They have been married 3 years. If they are married in HK, then basically there is nothing to do with the laws in the mainlands of China. You need to talk to a HK lawyer on this. Hello Jason.I note the number of properties a foreigner can buy in Beijing and Shanghai is currently capped at one. As a foreigner If I lived in either of those cities but wanted to start a property portfolio would I be permitted to buy as many properties as I liked outside of those cities. Would it be best to do so through the formation of a company if I did? P.s.Do you know what the yield is on property. It seems through my research 2% is the shanghai average. That would indicate its very overvalued indeed. In Beijing and Shanghai, yes, a foreigner is still allowed to buy only one property. Given that China has relaxed restriction on foreign invested real estate companies, you may wish to buy more properties through corporate entity. well,as for yield on property, it really depends on location and how you run the properties, my personal observation in Shanghai down town area (the french concession area) is that the return could be nice taking in account the appreciation of property value over time. Of course, if the property market is on the fall, investment in properties in Shanghai and Beijing won’t be anything promising. However, I also see opportunity of flipping old properties in Shanghai (I don’t know that much about Beijing) where you can purchase the property with cash to gain a discount over the price and then you renovate the property to bring new lift to it and then sell it out immediately you will gain a much greater return. Another opportunity in real estate market here in Shanghai is the leasing market catering to people who cannot afford to buy properties but want to maintain a level of living quality, namely, the white-collar apartments. This market has been thriving recent years with still insatiable need in the market. If you can find a good building for a long term leasing and then turn it into such leasing properties, then you can also make a good return. These are my observations and understanding of Shanghai property market. Thank you for your insight Jason. If my plans ever come to fruition I will let you know. Hi Charles, the information in the post may have become outdated as China property market is changing all the time due to government policies changes. So don’t rely too much on the information herein. Let me know when you are ready to buy. Real estate market in Shanghai is on frenzy in 2015 with unreasonable price hike in defiance of slowing China economy. thank you for these lots of information in your blog. I live in Xi’an for a couple of years now and I am going to buy an apartment this autumn. Property market in Xi’an is different to Beijing, Shanghai or Guangzhou, where speculative transactions dominated the markets. Everywhere on the news is now, that this summer the regulations for foreigners changed. They say, a foreigner who stayed legally in China for at least on year, can buy a home for private use without limitations. Even in the “second hand” market. Some people say, that now an export license (seller) is not necessary any more. This is an important point, as there are (in Xi’an) only a very few companies, holding this license. Another point is, that PSB can give you a so-called conversion certificate to convert more that 55000 USD into RMB. These new regulations are not valid in Shanghai, Beijing and Guangzhou. Unfortunately people and officials don’t know much about these new regulations. Dear Tom, yes, there is a big change now. Shanghai used to grant licence to certain projects that can be sold to foreigners but no longer applicable many years ago. I am not sure about the USD 55000. How did this number come to you? A foreigner can convert USD 50,000 into RMB per year which is a rule you may have known already. But I am not sure about the USD 55000. These must be local rules so i don’t know much about it. You can get your Chinese friends to check with relevant authorities to find out more. Now foreigners can buy as many apartments as a foreigner wants to buy. No limits any more. This is valid china-wide. If a foreigner buys an apartment, he will get a certificate which is valid for this property and all other properties in the future. The seller needs an export licence. Most of sellers don’t have this but can apply for it. In my case it took 2 weeks for the seller, to get one. My certificate was released within 10 days. Now, as a foreigner you can rent out your property or use it as your home. As for money: I opened bank acounts in Hong Kong. With a HK bank card you can easily get cash at many Chinese ATMs. With two cards this is 40-60,000 RMB daily ! Hi Tom, thanks for the update. However, the lift of restriction is not nation-wide with Beijing and Shanghai still keeping the curb in place. Also cities like Xi’an have some very special local rules that are not seen in other cities. I purchased an apartment in Dalian in 2004. I am now intending to sell. I believe the Chinese Government will allow me to send all of the money received on sale to Australia providing I provide proof of purchase. Could you advise me how I go about that please? Hi Peter, I would like to help you to sell that property. Well, if you don’t wish to come to China for multiple times to attend the sale process, you can entrust an attorney to help you out. Please send me more information about your property to my email. I am American citizen and live in US. My mother (Chinese citizen) lives and owns an apartment in Shanghai. Since she is over 90, she wants to sell her apartment to me. Can I purchase her apartment? Also I heard the sales tax is less than the inheritance tax. Is that true? Hi Ann, given that you are not working in China, you cannot purchase the property from your mom, and you can actually only acquire the property by way of gifting from your mom to you. If the property is an ordinary property in Shanghai and you will hold the property for more than 5 years, you will basically pay no tax at the time of your sale of the property. I am helping another client in doing the same thing. Let me know if you need my further help. Contact me via my email for the future communication. One more question. Gifting or inheriting, which one cost less? I mean which one pays less total tax/fee. They don’t compare. Inheritance only takes place after demise and gifting can only be done when the gift-giver is alive. In terms of tax burden, inheritance bears less taxes. also, if you wait till inheritance, unless you are the only heir, otherwise you may have to collaborate with other heirs and the procedures for inheriting property in China can be really troublesome for foreigners. If you are not going to sell the property after acquiring the property and you can hold it for more than five years, then gifting may not seem expensive. Taxation is complicated in this regard. I may provide a memo on this for you at a fee so you can be clear. I am a Singaporean. My father, also a Singaporean, and I are joint owners to a property in Shàntóu (汕头). My father has passed away. Please advise how do I sell that property? hi Daniel, you have to first transfer your father’s estate in the property into your name, namely to put the property in your name solely or concurrently with other heirs alive, then you can sell the property. can you let me know the rough value of the property? thanks. You can send me email for further communication. I enjoy reading your informative blogs. I hope you can help me with my question below. My mother wants to sell an inherited 6BR Old Villa house in central Shanghai district. She is a US citizen and would like to know how to go about the $50K per year limit on foreign exchange transactions if she wants to move the funds directly to US? Hi Jane, i sent a reply to your email and please check. thanks. Hi Jason, Please check your email for my reply and let me know. Thanks. Hi Jane, i have replied yesterday and sorry for late reply. I read with a great interest your article about buying property in Shanghai. I just started my 2nd year of my posting in China and we are thinking of purchasing an apartment here after passing the required 3 years residency. I’m Canadian (coming to 58 yrs of age) and my Wife is Singaporean (51) – a teacher in an international school here. Since there is a lot of cheating as far as real estate (I was an unwilling party to it with the first rental), I do not intend to do a “do it yourself” deal (better pay up front for proper service than be sorry for many years later). So, despite you having office space to support in the most expensive piece of real estate in town, we will be happy to let you facilitate everything when the time comes. Now, to the center of my inquiry. Since we both resent pushy sales people who only care about closing a transaction, we were wondering if in Shanghai you can actually see the properties (current and updated) on an equivalent to USA or Canadian MLS Real Estate listing via a website. Then, if you are further interested, you make inquiry with an agent. I hate as heck to waste time running about town to find out that either the ad was a fake one or the property grossly misrepresented (as it happens constantly with rental properties). Being myself professionally in sales profession, I actually resent people that try to push you on their own timetable instead of adhering to client’s. Hi Stan, i have replied to you through email, please check. I am an 54 year old expat living and working in Shanghai for the past 15 years and plan to stay in China as long as the government permits. I will soon sell my villa in the suburbs and will purchase a smaller apartment in the city. It’s been 8 years since I purchased my villa, but I seem to remember that my age had something to do with the amount and length of time of the mortgage. I have also heard that the age of the apartment building is also a factor in determining the loan amount. Can you tell me the typical down payment a bank would require for someone like me to purchase an apartment in Shanghai? And does my age factor into the calculation? Hi Mike, strictly speaking, the related rules don’t have any clear provision regarding the link between borrower’s the age and the term of loan he can borrow. The down payment will be 30% given that that will be the only property you will have after you sell your villa. I would suggest that you approach a few banks to inquire about the number of years you can borrow. You can contact me for more regarding your sale and purchase of property in Shanghai. Good luck. Actually, I just heard about a rule that you must be married to purchase an apartment in Shanghai. Is this true and valid for foreigners? This rule did not exist when I purchased my villa. I am an unmarried foreign male. it does not apply to foreigners. Don’t just listen to rumors but verify. Can I use your article “https://www.sinoblawg.com/?p=991” on my site? Thanks. yes, so long as you make it clear, the author is me. Regarding point 3 and the Chinese name, the developer has asked me to go to the consulate to have my name translated for the documents. Is this necessary or are they being obtuse? The saleswoman says put it in my wife’s name but for peace of mind I’d rather have it in joint names. where do you buy the property, Mark? In Shanghai, I don’t know this requirement for consulate involvement in coining a Chinese name. I am plannning to buy both a shop house (commercial property to be rented out later) and a residential property in a town called Gutian Fujian Province China, need your advise whether this is possible? I am not plannning to get any loan from the banks and my planned purchase will be strictly self finance, I am not a Chinese citizen, I understand that for commercial property I cannot registered it under my name but as clarified by your website it could only be done so through a company, if so for my planned purchase of this residential property do I would need to register/start a company on China just for the purchase and if so could I just register a company for this purchase and deactivate the company after completion of the purchase? If Im a foreigner and i heard about a condominium in Wuxi can i purchase it? Please read my post carefully, you will find answer to your question. me and my wife bought an apartment, not in Shanghai but doesnt matter, of course on her name. As i am living in China already for 3 years, is it possible to also regist me as an owner? It would be great if we both would be signed as owners. I also dont know if we would have to pay some extra fees or taxes if thats possible. I hold Italian passport and I’ve been working for 1 year here in Shanghai. I’d like to buy an apartment here but I saw that latest regulation says that I have to work in Shanghai for at least 24 months if I want to buy a property. The new rule does not specify if it applies only to Chinese not from Shanghai or also to foreigners. Do you know anything about that? can you please send me an email regarding your question? I believe that the new rules does not apply to foreign buyers of Shanghai properties. If you wish to purchase, I’d like to assist you in the proceeding. my grandma had a property under her name in Shanghai. She passed away without a will. Estate should be split evenly between her 3children (one being my father). My father has also passed away. i was born in Shanghai, hold Australian passport…am i able to add my name to the property based on it being a deceased estate asset? Dear cara, a very important question for you to answer: did your father predecease your grandma? If yes, you and your siblings are entitled to inherit the part of estate in the property your father would otherwise have inherited. If your father died after your grandma, then it is a different scenario whereby all heirs of your father will be entitled to inherit the part of estate your father has in the property. You can send me emails in order to communicate more on the matter. The latest regulations say single people who are not Shanghainese cannot buy a house in Shanghai. Does this rule apply to foreigners too? Hi Mike, so far as I know, this rule does not apply to foreigners. The reason is that Chinese authority while being able to check whether a Chinese citizen is married or not is unable to check or judge whether a foreigner is single or not. For a foreign buyer, so long as you are working or living here for up to one year, you are eligible to purchase property in Shanghai, China. I even think it is possible for a couple to buy two properties here in China with each holding one property. Such policy is not enforced to the same standard and it is advised that you get your agent or attorney to check up with local real estate department before you sign any binding letter of intent, or other legal documents. My husband and I have joint-ownership of a property in Beijing which we bought in 2004. The property is rented out. We would like to buy another property. My husband works in Beijing and I do not currently work. Can he sell or transfer the current property to my name and then buy another property in China? Would it be easier if we buy the property in Shanghai? Hi there, strictly speaking, a foreigner is allowed to own one property throughout China. Your husband can sell the current and then buy a new one. However, there is always a possibility of loopholes in local enforcement of central government curbing measures, so you can check out with local attorneys in Beijing to see whether you can buy a new one without selling the first property. As in Shanghai, I guess we cannot guarantee success though it is possible. If you do want to try, we can work together and I will help to manage the risk. As said in the post, I did help a Singaporean client in buying his second home in Shanghai without problem. Thanks for your helpful answer! So he can still buy another property if he sells the old one? That is good news because he can sell the current property to me.I thought there was a restriction on just one property per foreigner per lifetime. Would you be able to help us if we bought the new property in Beijing? Or do we have to find a lawyer in Beijing? hi Jacqueline, I guess it is not about sale between you two as you are not qualified to buy a home here in China. I could help you though it is better that you seek help from local attorneys who are more familiar with local practice. My family and I moved to the US over 25 years ago. We have a house in Guangdong under my father’s name. My father want to sell it since it isn’t worth very much and he’s getting older. What does the process involve since we are now all American Citizens. I believe my father still has his Chinese passport. Hi Katherine, if the property is still registered in the name of your father and he is now an American citizen, what the process involves depends on what nationality he had at the time of purchasing the property in Guangdong. The sale process will be not much different from a normal one, but when it comes to repatriation of the sale proceeds out of China, the difference arises whereby he can repatriate all sale proceeds once for all if he was converted into an American citizen at the time of purchasing, and otherwise, the money can only be take out in three installments over a period of around two years. Thank you for your insight. At the time of purchase, my father was a Chinese Citizen. He became a American Citizen 7 years later. How will that change the process in taking out the proceeds of the sale. Also, what is the limit of the installments? As a matter of fact, that may make the taking out money a long process of up to two years. This is the only big problem in your case now. i was wondering what documents are required to sell real estate in china? well,as an owner, you don’t really need to prepare many documents and just to bring your title deed with you. Then there will be some other documents such as sale and purchase contract. If you don’t have time to deal with your sale, you can give a power of attorney to your agent who may be a lawyer or your friend who knows how to sell properties in China. I have a property in my name in Shanghai bought in June 2009 which is currently rented out. I would now like to sell this property and purchase another one. What do I have to be aware of? Is there capital gains tax, restrictions, etc? I do not work and am a housewife (with no rental agreement for the property that we currently live in) so it would be difficult to prove employment or a one year residency in Shanghai, even though I have two passports. Hi Ms Chan, you can sell it without any problem. As for legal issues you shall be aware of, that is not possible to tell you in one or two lines here. If you do have concern, I am happy to assist you in the sale at a reasonable cost. There is no capital gain tax but you are subject to individual income tax in China as well as business tax. It seems that you have not held the property for up to five years in which case your business tax burden will be relatively heavy. Also if you hold the property for a period of five years, your individual income tax may be exempted entirely. However, if you do not have proof of your one-year employment here, it is difficult for you to buy though there is some way to circumvent the rule but you are exposed to higher risk then. Hi Amy, so far as I know, there is no prohibition on this. So long as your loan is in compliance with Chinese banking regulations, there is no problem. You can mortgage your property as any other home owners in China. I was referring to pre decreasing me. Thank you, the response was very helpful. I think that request is reasonable because those people have no idea whether you wife with Australian ID is the same person appearing on the title deed. You should be able to obtain certification from Immigration Department from Australian government to prove it. I used to ask a client in Canada to obtain the document and she finally got it. Thanks for ur reply Jason, we r now proceeding to buy the property in the name of my wife’s father, can u pls advise what we can do to safeguard us in regards to the property after my father-in-law. Kevin, you can now enter into an agreement with your father-in-law in which the parties acknowledge and agree that the father is only nominal owner of the property and upon easing of policies and regulation, he will agree to transfer the property to your name. Of course, there are much more to consider in particular how you can protect your interests upon decease of your father-in-law. If you wish to draft such an agreement, let me know. I am Irish and my wife is Chinese. We have just agreed to buy an apartment in Chengdu and paid 50%, the remainder payable in a few months. The property will is in my wifes name as foreigners are not allowed buy in the area. What kind of agreement should we put in place to ensure I am 100% entitled to the property if anything should happen to my wife. Hi Fin, what do you mean by “anything should happen to your wife”? Are you saying that you want to make sure you will be able to receive the property if your wife deceases? Or you are concerned with what your rights are if you and your wife will get divorced in the future? For the first scenario, you may get your wife to write a will in which she agrees to leave the property to you after she dies. Otherwise, her parents will have a share in her estate. For the second scenario, you may enter into a pre-nuptial agreement regarding the ownership of the property. I wonder if I buy a house, using my “girl” friend name, enter a agreement before that. If our relationship tour sour, can I get my share ? I am a Singaporean and travel to China frequently. I do not have 1 year Visa. Could I still buy property in CHina ? Hi Teoh, if you use your girlfriend name, that is for sure a risky venture. However, you should know better than anyone else whether your girlfriend is reliable or not. If your relationship sours, you may not be able to get the title of the property if at the time of dispute, you are still not eligible to purchase a property in China. all of the above has been very helpful & most of my questions have been answered above. thanks very much. but i would like to know if a foreigner is allowed to remit the money received (after selling his house in china) out of the country (after converting it to us$). is that allowed & if yes, what is the procedure? As for the procedures, it is not very complicated but time-consuming. I am sure you would like to know it when we meet. I would like to sell a property in china. Who can I contact? of course, you can contact the blogger, Jason Tian at his emails or phone numbers. I am a Singaporean and married to a chinese in Singapore. Our marriage certificate is recognized in Singapore. I am thinking of buying a property from developer in guangdong. I have not stayed or work in china before, so can I jointly buy a property with her? She is holding a china passport. Thank you. Hi Eric, strictly speaking, no. To buy a property, you have to prove you have lived or are entitled to live in China for more than one year. A possible way of doing this is to have your wife buy the property first and then add your name to your title as a spouse. This will subject to local practice as to whether they permit foreigner spouse to put their names onto the title. I learned of restriction on that in Northeast China. On the other hand, our wife’s purchase of property in Guangdong will be subject to restriction also. Generally, if her household registration is not in Guangdong and she has not been working in Guangdong, she is not entitled to purchase property there either. Thank you Jason, she currently has one property in guangdong already and her household registration is in guangdong. I heard from some sources that if we register our marriage in china I will be allowed to buy one property together with her in china. I am not sure how accurate is this. I have a friend who is also a singaporean and bought 3 properties in shanghai with his shanghainess wife, so I thought that it should not be a problem. I guess the law in china does change frequently? Eric, you have to turn to local attorney in the place where you want to buy the property. You need to check out whether she is able to buy a new property and whether as a foreigner husband, your name can be added to the title of the property. My question is kind of off topic, but I would appreciate if I get some answers. what part of north america are you referring to? I work in real estate in New York. Every location is very different. I live and work in Shanghai since last 5 years. And If I buy a property and decide to go back to my Country for good. Will there be a dispute over my property as I won’t be living in Shanghai. Can I then Residence permit or Permanent residency in Shanghai based on my property . Hi there, if you are qualified to buy, there will not be any problem that you leave China. You can rent it out to other people. However, you don’t qualify for a residence permit simply because you have a property here, not to mention permanent residency. Thank you for the information. I am wondering if an American citizen (was a Chinese citizen ten years ago) holds the one year, multi-entry F visa and travels to Chinese every month during the past three years. Is he eligible to purchase a residential property in Shanghai? What kind of documents he has to submit? legally and strictly speaking, No. but in practice, there is a loophole that can be used to buy property in Shanghai. If you do want to buy, let me know when you have a target property in mind. Thanks for this interesting FAQ p.
I was wondering if both the buyer and the seller would usually agree to underdeclare the sales price of the property in order to pay less tax on the transfer? If so, how much less as a percentage of the sales consideration would they usually agree on (considering both are chinese)? Your reply would be very appreciated. Hi there, well, there is no official law or guideline on this. In practice, it is purely arbitrary, though local real estate authority generally keeps internal standards for reference. In a time when real estate market is not stable, it is easier to lower price more aggressively than before. Just recently, we lowered the price by RMB two millions for a sale at a real price of RMB 17 million. I don’t know whether we could have gone further, maybe yes, maybe not.